There is a growing market for lower cost flow cytometers which are simple to use and maintain. These are generally based on simple to use disposable microfluidic chips and require only a small sample size of a few microliter and a few thousands cells. 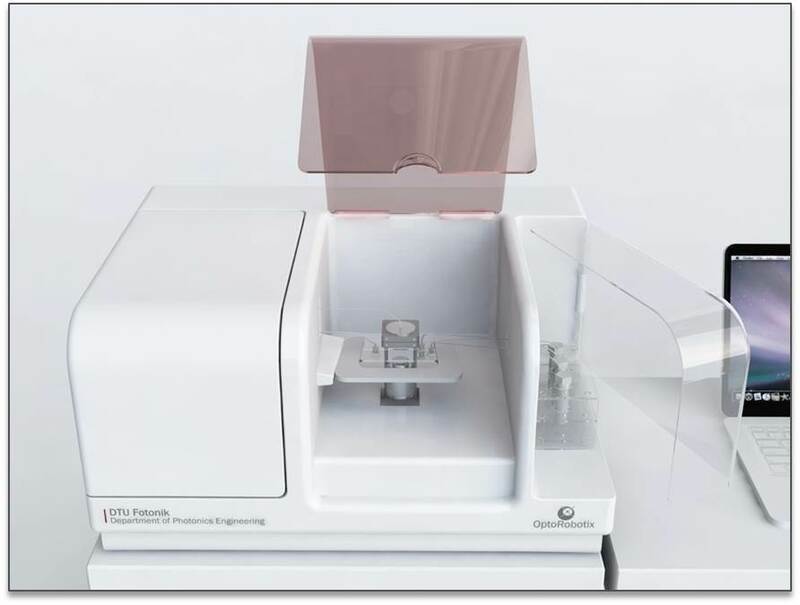 To extend this range of existing flow cytometers OptoRobotix is developing an automated flow cytometer with cell sorting capabilities, the Cell-BOCS, to meet the needs of lower volume sorting in individual labs outside of the core facilities. Our aim is to make simple to use flow cytometer with cell sorting that can be used by any lab personnel and transported for mobile use. The chip-based approach allows the Cell-BOCS to minimize the initial sample population requirements and increase the recovery rate. The small sample sizes also reduce the need for expensive reagents thereby cutting the cost of analysis. As a key feature, the Cell-BOCS is not limited to any one type of microfluidic chip or application. This means that an ever-increasing array of analysis, diagnostics and sorting options including reagent kits will become available for the Cell-BOCS platform. Easy to use and highly automated, no technician needed.